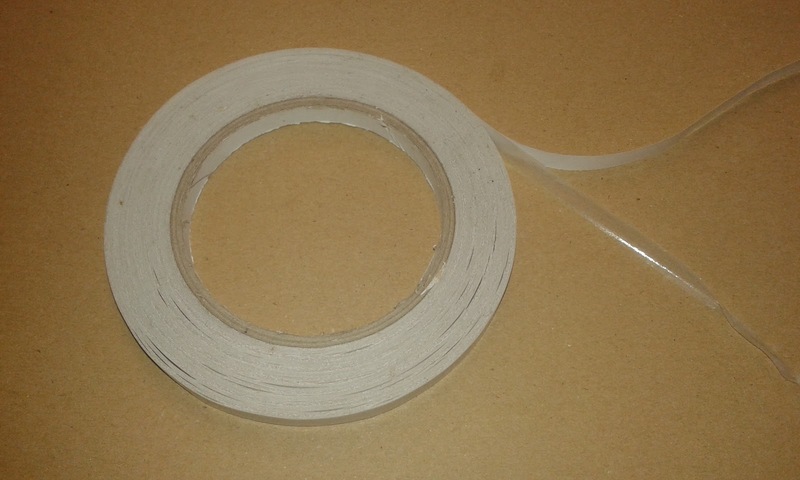 What kind of double sided adhesive tape can be used in Paperfox tape applicators? The Paperfox TD-1 tape applicator head is an affordable device for placing double coated pressure sensitive adhesive tape on paper cardboard plastic foil or other sheet materials but the usage of this useful device has some limits. The most obvious limit is the width of the tape. We are manufacturing this heads for 12 and 20mm maximal tape widths. 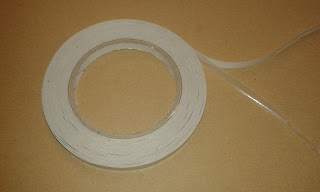 The other limit is the material of the tape. To understand this limit let's have a look at to the construction of the double coated pressure sensitive adhesive tapes. The construction of the double coated pressure sensitive adhesive tapes. The white paper strip on the photo is the release liner. Release liners are usually paper coated on booth sides with silicone layer. The width of the liner is usually the same as the width of the adhesive coated carrier, but the so called "finger lift" tapes having extended liners to make the manual removal of the release liner easier. Paperfox tape applicators can applicate tapes only with easy to tear carrier such as paper, felt or non-woven tape. 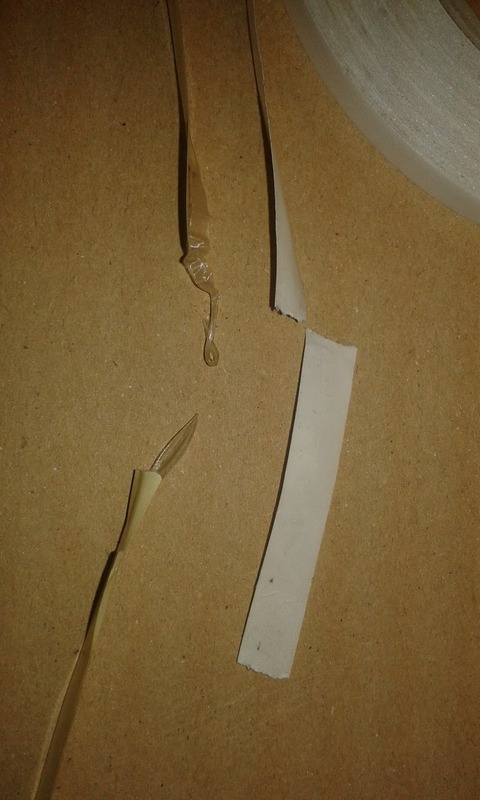 There are different adhesives used. Rubber based adhesives are having a high initial strength so they sticking to the paper quickly providing a stabile workflow. Unfortunately if you keep this kind of tapes long on stock it loses the quality don't sticks well the tape application can be unstable. Acrylic adhesives having weaker initial strength but the quality is more stabile and having better environmental (temperature, chemical...) resistance. 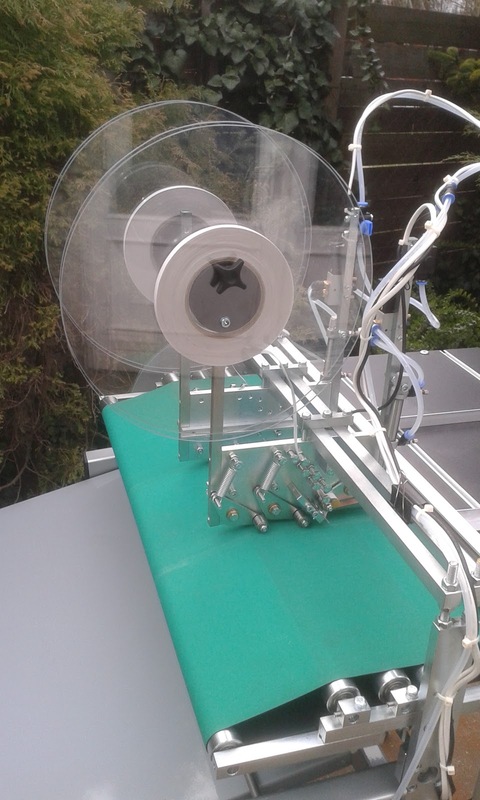 The easiest way to determine if the tape can be used in Paperfox TD-1 Tape applicator is to test. Try to tear the tape. Breaks easily as the white tape on the photo, then it can be used. If the backing material is stretches and hard to tear then maybe that the tape applicator head can't cut the tape well. If the tape is old and there are gaps between the turns then the glue maybe dry and don't sticks to the paper well. In this case the tape application can be stopped. What if the tape sticks "too good", and it sticks to the guiding elements of the tape applicator? 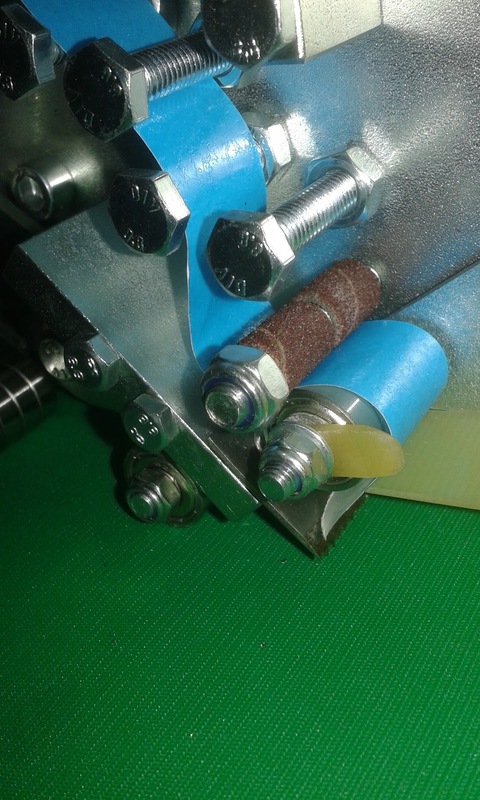 In this case you can put a drum sanding cylinder on the guiding screw as in the picture below.